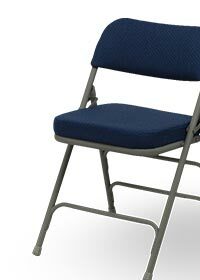 Bring everyone together with folding table and chair sets. Transform your warehouse into a classroom for onsite training or a conference room for weekly staff meetings. When neighbors hang out at block parties, co-workers share a meal in the break room and the whole family comes together for a reunion, it’s time to break out the folding sets. A small set on the balcony gives roommates a great excuse for a leisurely cup of coffee before starting their day. And game night just wouldn’t be the same without a folding card table and chairs. Folding Card Table and Chairs Sets, Kids Colorful Folding Table and Chair Sets, Metal Folding Table and Chair Sets, Plastic Folding Table and Bench Sets, Steel Folding Patio Table Sets, Plastic Folding Training Table and Chair Sets, and Wooden Folding Farm Table and Bench Sets.